The Volkswagen Atlas provides drivers in Toms River, Brick, and Freehold with an SUV that can fit the whole family or all your friends inside, and comes with cutting-edge technology to help you safely reach your destination. 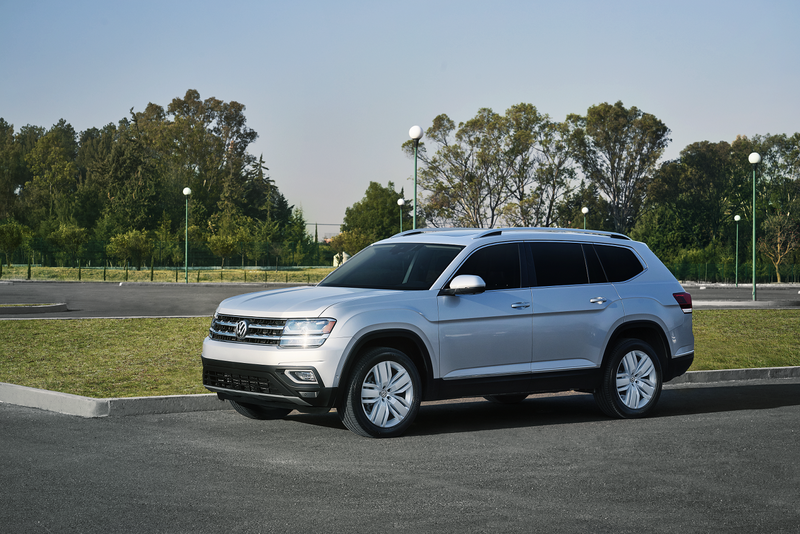 In this review, our team at Toms River VW covered some of the features that make the 2019 Volkswagen Atlas a versatile and reliable vehicle to own. When you first open the doors to the Volkswagen Atlas, you will be impressed with the amount of room there is across all three rows of seating. And there is plenty of space for all seven passengers to enjoy a comfortable ride with 153.7 cu. ft. of passenger volume. Starting up front, you and your front passenger will enjoy over 41 inches of both head- and legroom. And the second row can fit up to three child seats across the row to allow you to safely fit the whole family inside. You can also choose to get the available 2nd-row captain’s chairs for even more space for the rear passengers, but this will reduce the seating in the VW Atlas to six passengers. When it comes to the third row, it is designed to fit not just children, but adults without feeling cramped. They can easily climb into the seats with the easy 3rd-row access that pushes the second-row seats forward to let you load in and out of the 2019 VW Atlas. And once back there, you can stretch out and use the 33.7 inches of legroom provided to the third-row passengers. And, when the seats aren’t needed for the passengers, you have the ability to quickly fold the 60/40 split folding second row and 50/50 split folding third row to configure the space the exact way you need it. This will allow you to access up to 96.8 cu. ft. of cargo volume. The Volkswagen Atlas will aid in keeping yourself and your passengers safe. The Electronic Brake-Pressure Distribution will help give you the appropriate stopping power when you need to quickly slow down, and the Electronic Stability Control will maintain your stability by applying corrective forces to your wheels. 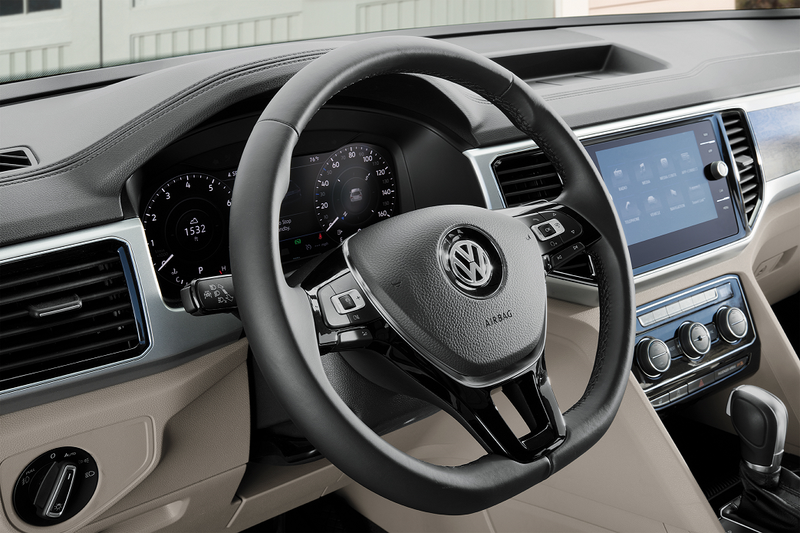 There are even more advanced assistive features that also come standard in the 2019 VW Atlas. With Blind Spot Monitoring, you will be able to know when it is clear to change lanes or merge. The VW Atlas will also alert you if there is a potential front-end collision and apply brake pressure to help avoid a collision, with Forward Collision Warning and Autonomous Emergency Braking a part of Front Assist. And Rear Traffic Alert along with the Rear View Camera System will be useful while you are in reverse and trying to back out. Stop by at Toms River VW today and get behind the wheel of the Volkswagen Atlas for a test drive! See all its capabilities in action and have our team help you figure out which trim level fits your driving needs around Toms River, Brick, and Freehold.